Greg Haley focuses his practice on commercial litigation and disputes involving local government. Greg has extensive experience in disputes involving contract claims, UCC issues, and corporate governance. 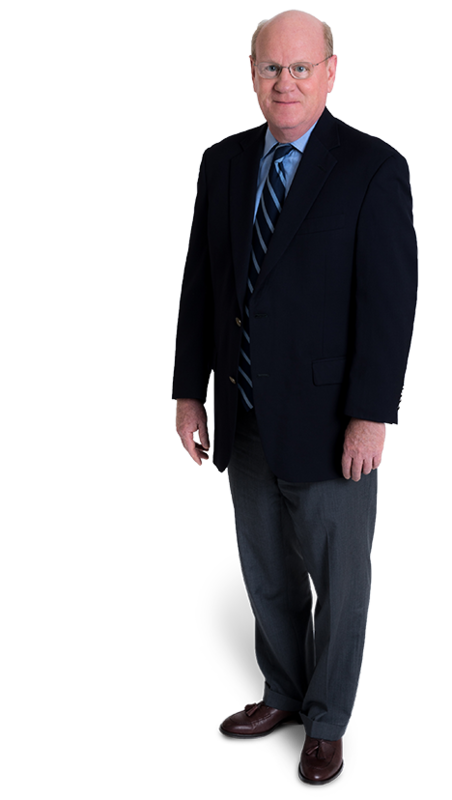 Greg represents local governments and businesses in all matters involving local government law. Greg brings an exceptional level of skill, intensity, engagement, and innovative thinking to his work. He believes the best results can be achieved by extra effort, leveraging expertise, early and accurate case evaluations, accessibility, and good communication. Greg analyzes legal matters not just as a lawyer, but also based on what solution the client needs, whether a business or local government. Greg has tried numerous cases to verdict or decision. In the area of business litigation, these cases have included contract disputes, UCC issues (purchase and sale of equipment and goods), false claims, land development, government contracting, professional liability, tax disputes, and other matters. Represented corporate management in shareholder derivative claims litigation. Greg has significant experience in transactions. In many cases, the transaction work resulted from relationships established in prior litigation matters. 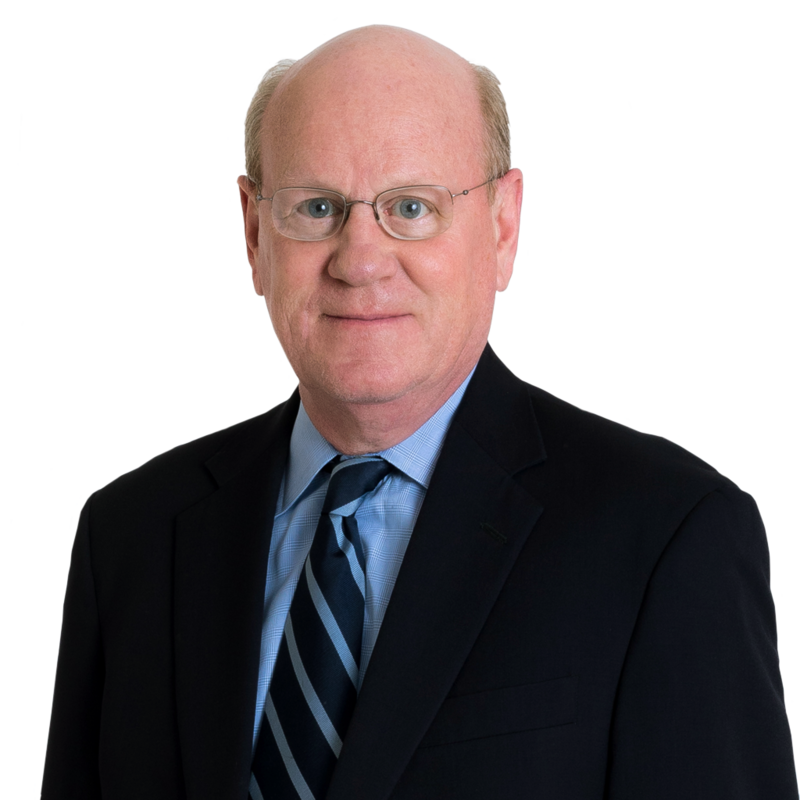 Greg is recognized as a leading attorney for representing local governments in litigation and for special projects. Co-author, The Crime Fraud Exception to the Attorney-Client Privilege: How a Client’s Actions Can Eliminate the Privilege; Gentry Locke Seminar (2018). Co-author, Client Satisfaction; Gentry Locke (2017). The Use of Corporate Depositions at Summary Judgment and Trial; Ted Dalton American Inns of Court (October 2016). Co-author, Qui Tam Litigation in the Western District of Virginia; Gentry Locke Seminar, (September 2016). Co-author, Procurement Basics and Problem Solving; Brown Edwards Government Conference (January 2016). Co-author, Judicial Decision-Making in Local Government Cases; Local Government Attorneys of Virginia, Fall Conference (2015). Co-author, Assessing the Assessor: Practical Points for Defending a Real Estate Tax Assessment Case; Journal of Local Government Law, Vol. XXIV, No. 3 (Winter 2014). You Can’t Fight City Hall – So Here’s How to Get What You Want Without the Fight; Gentry Locke Seminar (September 2014). Co-author, Trying and Defending Breach of Contract Cases: Ten Recurring Themes and Techniques in Defending Breach of Contract Cases; Virginia CLE. Advanced Business Litigation Institute, (June 2014). Twelve Ways for Local Governments to Stay Out of Trouble in Contract Matters; 16th Annual Governmental Conference, Brown Edwards (January 2013). Co-author, How to Obtain Preliminary and Permanent Injunctions and Temporary Restraining Orders; Gentry Locke Seminar, (September 2012). Co-author, Managing Your Land Use Regulations to Avoid Vested Rights Problems and Other Unforeseen Circumstances; Local Government Attorneys Association (June 2011). Co-author, A Sign of the Times: Billboard Valuations and Ownership Issues in Eminent Domain Proceedings; CLE International Annual Conference, Eminent Domain (April 2011). Co-author, Assessing Business License Taxes on Contractors; Virginia Association of Local Tax Auditors (August 2010). Co-author, Winning Your Locality’s Zoning Litigation Before the Lawsuit Ever Gets Filed (or Afterwards); Local Government Attorneys Association Regional Seminar (June 2010). Co-author, Winning Zoning Litigation Before the Lawsuit is Filed: Measuring Success by Things that Do Not Happen; Journal of Local Government Law, Vol. XXIII, No. 3 (Winter 2013). Co-author, Caught Between a Rock and a Hard Place: Modifying Local Government Contracts Without Violating the VPPA – A Cautionary Tale; Journal of Local Government Law (Vol. XXI No. 1, Summer 2010). Co-author, Addressing and Correcting Zoning Administrator and Staff Mistakes; Virginia Association of Zoning Officials (September 2009). Special Topics in Site Plan Review; Virginia Association of Zoning Officials Annual Conference (September 2009). Local Government Land Use Concerns and the Right to Farm Act; Virginia Association of Zoning Officials Annual Conference (September 2009). Vested Rights and Nonconforming Uses. Virginia Association of Zoning Officials. Annual Conference. (September 2009). Co-author, Taking Your Practice to the Next Level: The Ethics of Building Your Practice and Establishing Your Reputation; Virginia State Bar Young Lawyers Conference Professional Development Conference (September 2009). Co-author, From Courtroom to Conference Room, Reflections of Mediation; 57 Virginia Lawyer 28 (February 2009). Co-author, Materials. The Bermuda Triangle of New Litigation Pitfalls: Sanctions, Waivers, and Pleadings; Virginia State Bar Annual Meeting. Litigation Section (June 2008).Co-author, Survey of Recent Cases; Local Government Attorneys Association (October 2006). Conducting the Deposition of an Expert Witness; Gentry Locke Rakes & Moore (January 2007). Ten Lessons Learned From a Year of Local Government Litigation, Survey of Significant Recent Cases; Local Government Attorneys Conference (October 2006). In Search of Whales Not Minnows: Casting the Noncompete Net After Omniplex; Gregory J. Haley and Scott C. Ford; 54 Virginia Lawyer 28 (February 2006). The Life Cycle of a Professional Malpractice Case; Gentry Locke Rakes & Moore (March 2005). It’s the Sneaking Around that Gets You in Trouble: The Key to Unlocking Fiduciary Duty Litigation Claims; 53 Virginia Lawyer 39 (December 2004). Virginia State Bar Professionalism Course for Law Students; Washington & Lee University School of Law (2004 – 2006). Section 1983 Local Government Liability: An Overview and General Principles ; Virginia CLE/Virginia Law Foundation (2004). Practical Issues in Responding to Procurement Protests; Virginia CLE/Virginia Law Foundation (2004). Ten Ways to Stay Out of Trouble When Serving as an Expert in Litigation; Virginia Society of Certified Public Accountants (Oct. 2004). Ten or More Ways to Stay Out of Trouble; Virginia Certified Planning Association and Zoning Conference (Oct. 2004). Contractor Claims on Public Projects; Qui Tam Comes to Virginia: The Virginia Fraud Against Taxpayers Act; Practical Issues Regarding Procurement Protests; Gregory J. Haley and J. Barrett Lucy; Public Contracts and Competitive Bidding in Virginia (Aug. 2004). Taking the Heat: Practical Issues in Responding to Procurement Protests; Journal of Local Government Law (Fall, 2002). Managing Ethical Issues & Practical Problems in Local Government Representation; Local Government Attorneys of Virginia, Abingdon (August, 2002). Managing Risk to Promote Effective Emergency Response Efforts; Legal Issues Related to a Local Government Response to Natural Disasters and Emergency Situations; Virginia Emergency Management Conference, Virginia Emergency Management Association, Virginia Department of Emergency Management; (Williamsburg, March, 2002). Ten or More Ways to Stay out of Trouble; Virginia Association of Zoning Officials (January, 2002). The World Can Change in the Blink of an Eye: Local Government Response to Natural Disasters; Local Government Attorneys of Virginia, Roanoke (September, 2001). Eye of Toad, Tail of Newt, Stirring the Soup of Creative Lawyering; Gentry Locke Rakes & Moore (March, 2000). Moneta Building Supply: Building an Addition to the Virginia Corporate Governance Rules; Litigation News, Virginia State Bar (Spring, 2000). Ten Ways to Stay Out of Trouble; The Legal Foundations of Planning; Virginia Certified Planning Commissioner’s Program (June, 2000). Section 1983 Local Government Liability; (W. David Paxton & Gregory J. Haley); Virginia CLE, Virginia Law Foundation (May, 1999). A Lawyer’s Guide to Nonverbal Communication; Gentry Locke Rakes & Moore (October, 1999). What a Tangled Web We Weave; Sovereign Immunity and Special Purpose Authorities; (Gregory J. Haley and Lori D. Thompson); Journal of Local Government Law (1998). Contract Drafting: An Eye to Litigation to Avoid Litigation; Gentry Locke Rakes & Moore (May, 1998). Annual Survey of State and Federal Litigation: Recent Developments: Constitutional Law and Freedom of Association; Local Government Attorneys of Virginia (October, 1998). Trips, Traps & Tumbles: Eight Points to Consider in Settling Cases; Virginia Lawyer (October, 1997). The Troubled Business Transaction: A Tragic Comedy in Three Acts; Gentry Locke Rakes & Moore (May, 1997). Lender Liability Issues Resolved; Gentry Locke Rakes & Moore (May, 1996). The Duty, The Client, The Privilege; The Local Government Attorney and the Virginia Attorney-Client Privilege; Local Government Attorneys of Virginia (April, 1995). Confidentiality of Law Enforcement Records; Virginia Association of Chiefs of Police; Executive Development Program; Radford University (June, 1995). Update on Local Land Use and Development; Local Government Law Section, Virginia State Bar (June, 1995). From There to Here to Where: Developments in Virginia Land Use Law; Journal of Local Government Law (November, 1995). Protected First Amendment Rights of Government Employees; (W. David Paxton & Gregory J. Haley); Local Government Attorneys of Virginia, Blacksburg, Virginia (April, 1994). Procedural Due Process and Government Employment; (W. David Paxton & Gregory J. Haley); Local Government Attorneys of Virginia, Blacksburg, Virginia (April, 1994). Qualified Immunity: Issues in Federal Civil Rights Litigation Involving Government Employees; (W. David Paxton & Gregory J. Haley); Local Government Attorneys of Virginia, Blacksburg, Virginia (April, 1994). The Judging of Judges: The Defense of Proceedings Initiated By the Judicial Inquiry and Review Commission; (William R. Rakes & Gregory J. Haley); Judicial Conference of Virginia (May, 1994). Annual Survey of State and Federal Litigation; Constitutional Law and Freedom of Association; Local Government Attorneys of Virginia (September, 1994).